Habitat III, the United Nations conference on Housing and Sustainable Urban Development, has adopted the New Urban Agenda, a roadmap for sustainable and equitable urban development for the next 20 years to come. During 17-20 October, 36,000 participants made up of ministers, mayors, academics, community group members, urban planners and citizens convened in Quito, Ecuador, to discuss the future of our cities. The New Urban Agenda, also known as the ‘Quito Declaration on Sustainable Cities and Human Settlements for All’ aims to operationalise the targets and goals set in the SDGs and the COP21 climate agreement. 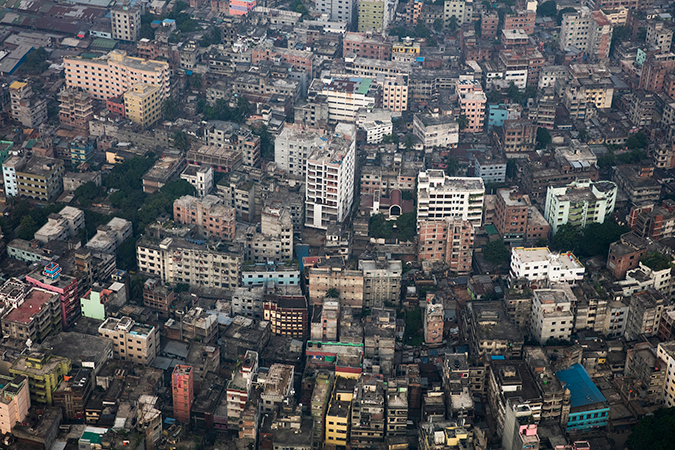 The expectation for Habitat III was not to define more goals and targets, but develop implementation guidelines for cities, given their pivotal role in global development. The conference aimed to strengthen local governments, increase networking between cities, and promote participatory urban development with the ‘the right to the city’ concept. Water wise cities: beyond basic services? A system approach will help cities of the future manage their water. The International Water Association presented its principles for water-wise cities and promoted the term ‘Waters’ to highlight the many forms of water in the city. Panelists strongly emphasised the need to broaden the common understanding of water as a basic service, to include all types of water found in cities. A catchment approach to urban water management is important and will include measures to restore ecosystems and support rural-urban linkages. Even though water is so central to development, water challenges are still not understood by all urban stakeholders. Let’s not forget to engage urban planners and architects, the energy, transport and waste sectors, as well as urban agriculture, city parks, industrial users and the interests of individual users. Urban design policies are crucial to protect the city’s water bodies and provide inclusive and sustainable housing. In many cities around the world, proposals are made to build settlements in flood prone areas to meet the growing housing demand, which adds pressure on the resource and puts people at risk. The concept of ‘water urbanisms’ acknowledges the role water plays in shaping cities, by addressing the relationship between settlement patterns, land management and water infrastructure development. Not only should cities be built to ensure equitable access to basic services; resilience to climate change also needs to be included in the design and implementation of development plans. Investment in disaster risk reduction and resilience will help combat poverty. Cities are increasingly affected by disasters, often in the form of urban flooding. The poorest tend to suffer the most because they have less access to decision making. Disaster risk management strategies are closely linked to poverty reduction; combining the targets of the Sendai Framework for Disaster Risk Reduction, the SDGs and COP 21 will join efforts to make cities resilient and reduce the number of people affected. Since risk is a local issue, we need to empower local leaders to develop disaster risk management plans. Data empowers residents of informal settlements to bring about change. Flooding and a lack of basic services are problems common to informal settlements. By collecting data on how many taps and toilets they have, communities can lobby for change in negotiations with the local government. The Slum Dwellers International Network presented examples from Ghana and Uganda where data collection was key to bringing people together, identifying needs in their settlement and taking action with the local government. Data in the New Urban Agenda: gender mainstreaming versus gender transformation? Better data is needed for gender transformation in cities. A strong call for improved data collection was also made during the women’s stakeholder roundtable. While the New Urban Agenda is supposed to advocate gender responsive interventions, there are no clear guidelines on how to define or measure these – only three references are made to data disaggregation. The panelists recommended a focus on gender transformation rather than gender mainstreaming. This means ensuring that interventions go beyond empowerment and equality and are actually able to change gender-based power structures. Habitat III was above all about participatory practices and transformative commitments to make cities inclusive, safe and resilient. This includes interventions to provide access to equitable basic services, such as water and sanitation, increase resilience to climate change, and restore degraded natural resources and related ecosystems. Water undeniably plays an important role in cities of the future. Claudia Neuschulz was previously a Research Assistant for the REACH programme, and is now a Fellow of the Mercator Fellowship on International Affairs working on financial mechanisms for the provision of sustainable urban water and sanitation infrastructure. She is currently based in Lima, Peru.